We all have loads of these. 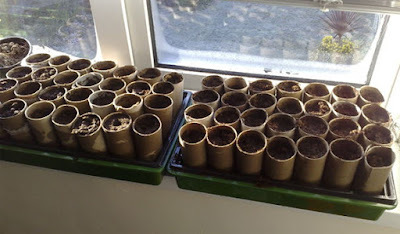 We normally use them for craft projects but they make excellent planters for seeds. 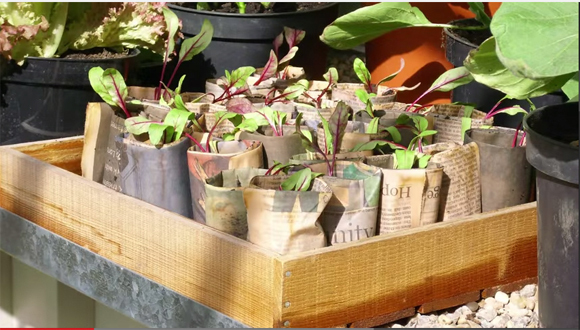 Cut them down a bit in size (you could easily make two pots from each tube) and sit them on a tray and fill with compost. Easy peasy. You can even grow seeds, such as cress, in egg shells. Look at the funny haircuts above!!! And nothing need go to waste with an egg. 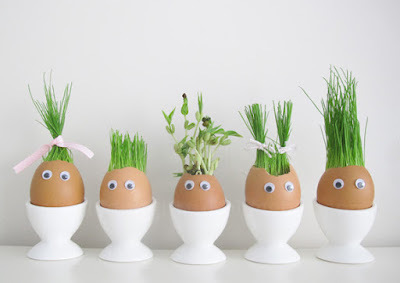 We have used the egg shell and we can use the carton too. 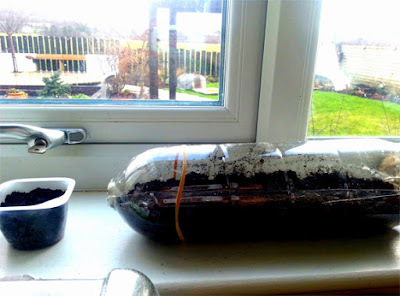 Perfect for growing seeds in. Don't these look wonderful and bright? Get your mummy and daddy to save their coffee cups and recycle those party cups too. Perfect for growing veg. Daddies will love being encouraged to drink more coffees! Newspapers can be folded up to make little cups for growing seeds in. 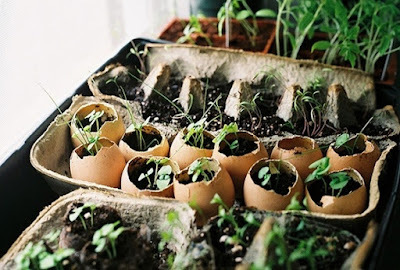 These are brilliant as they decompose in the ground so you don't have to upset the teeny roots by taking them out of their pot. 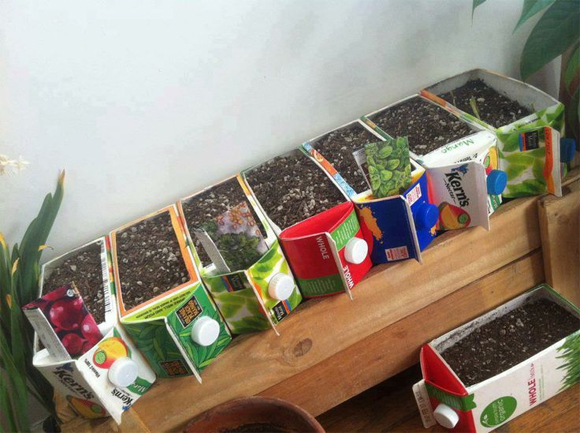 Another great alternative to a seed tray. Just make sure you don't pop it back in the freezer! 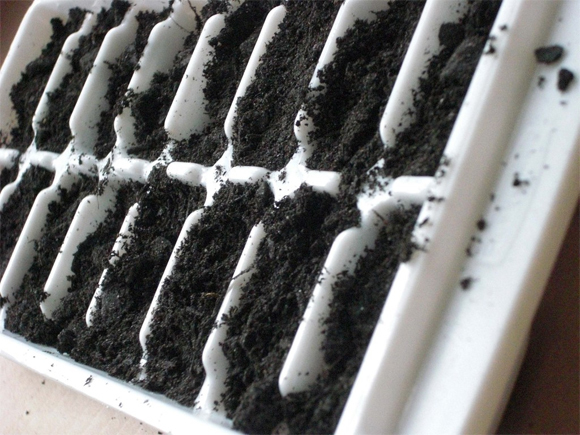 Ice cubes aren't the only things that can come out of an in ice cube tray! 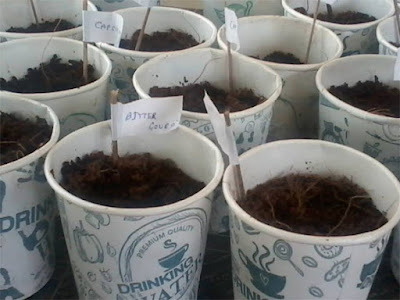 Old juice bottles or yoghurt or custard pots are other great ways to sow seeds. The bonus of using a juice bottle is that you can make a lid which then keeps the heat in and makes the seeds grow faster! We grew some brilliant broccoli in this juice tray! So there you go, not only do you save money on the veg you are growing you don't even need to spend any money on pots to grow them in. Veg-tastic! 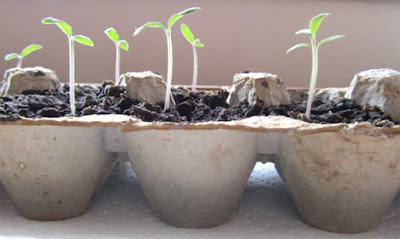 To learn more about how to grow seeds in any kind of tray then read my blog here. Lulu v Hedgehogs. Who will be the winner?